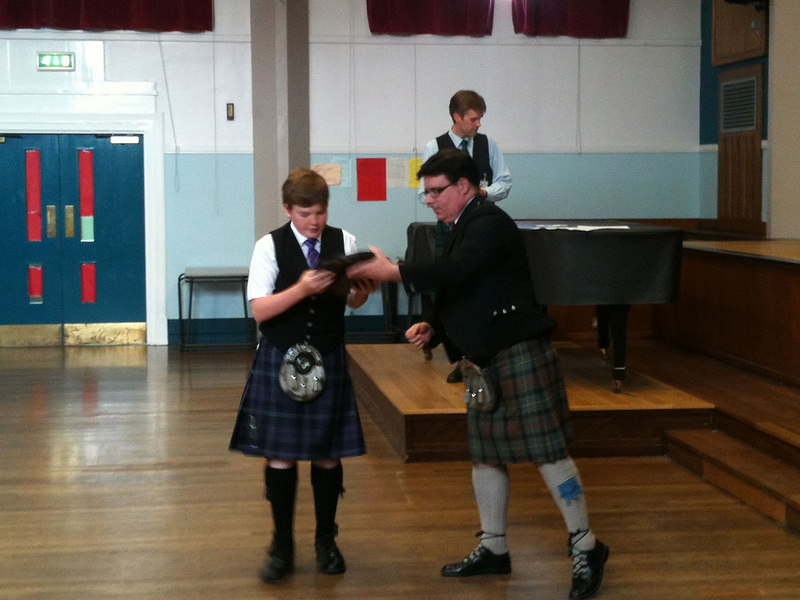 Calum Brown receiving his prize from Euan MacCrimmon, President of the Inverness Piping Society. Wallace Dempster, 14 and under overall Champion 2014. 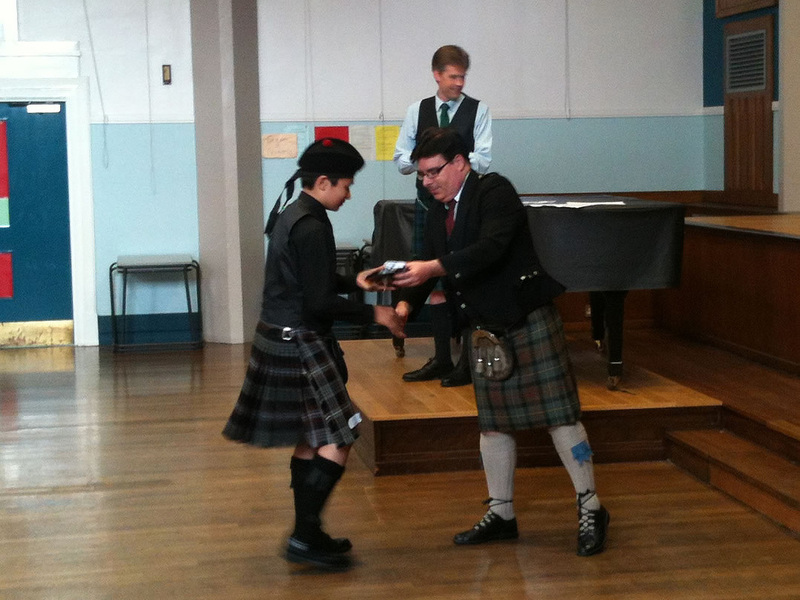 Receiving his award from Gold Medallist Euan MacCrimmon.